This guide will teach you how to spoof your location in Mozilla Firefox. Spoofing your location can help you access censored content. Please note that ExpressVPN is not affiliated with Location Guard. Sites that use HTML5 geolocation can see your real location even when connected to VPN. To prevent this, the easiest way to spoof your location inside Mozilla Firefox is to use the ExpressVPN browser extension. The ExpressVPN Firefox extension is available for PC and Mac. 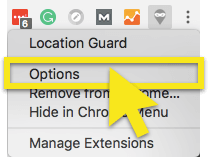 You can see how to use the ExpressVPN browser extension to spoof your location in Firefox. For best protection against location leaking, we highly recommend that you connect to the VPN in addition to using Location Guard. 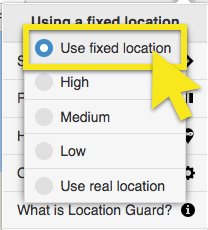 Location Guard is available for Firefox 38.0 and above. If you are running an older version of Firefox, you will need to upgrade your browser version in order to follow this guide and receive important Firefox upgrades. Decide on a location you want to spoof to, e.g., Tokyo. 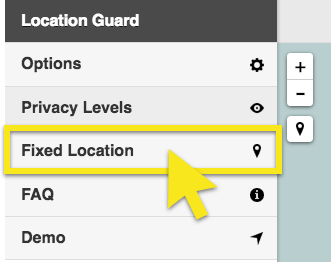 Visit the Firefox Add-on page for Location Guard and install Location Guard on your browser. You may need to restart your browser. Close the options menu tab and return to the webpage you want to access. 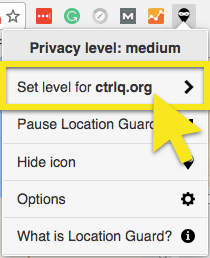 Refresh the page and click the Location Guard extension icon in your browser.